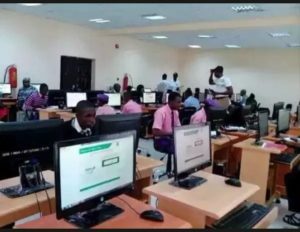 The 2018/2019 Jamb has come and gone with a lot of success stories from our candidates and students who normally follow our advises. Now a lot of folks are preparing for the much anticipated jamb 2019/2020 government questions. Of the truth no one knows for sure where the jamb questions for Government is going to come from but we are going to make things easier for you. As the Joint Admissions and Matriculation Board JAMB is about to conduct her yearly examination it’s time you carefully study past questions on government. On yearly basis postutmeadmission.com.ng tries as much as possible to give clues and also to provide a clear guide to all jamb applicants who desires to have an outstanding results. We have never fail any one and we will never fail you in this 2019/2020 jamb exams as far as government is concerned. Our aim and desire for you is to guide you on Jamb 2019/2020 government questions and answers for you to have nothing but an outstanding results. understand jamb questions and answers perfectly them answering them will no be a problem for you. Jamb aren’t going to set new questions and even if they are going to set it then it won’t be more than 10% believe me. In the just concluded jamb 2018/2019 we where able to educate thousands of jamb applicants who wrote the exam and made it plain to them on how the exam was going to be. Those who took us serious gave posies report. Since jamb are going to set majority of their 2019/2020 government questions from past questions while not av ail your self the opportunity to go through past jamb 2019/2020 government questions and answers?